Roosevelt School 2nd grade theme this marking period is "Helping Hands". 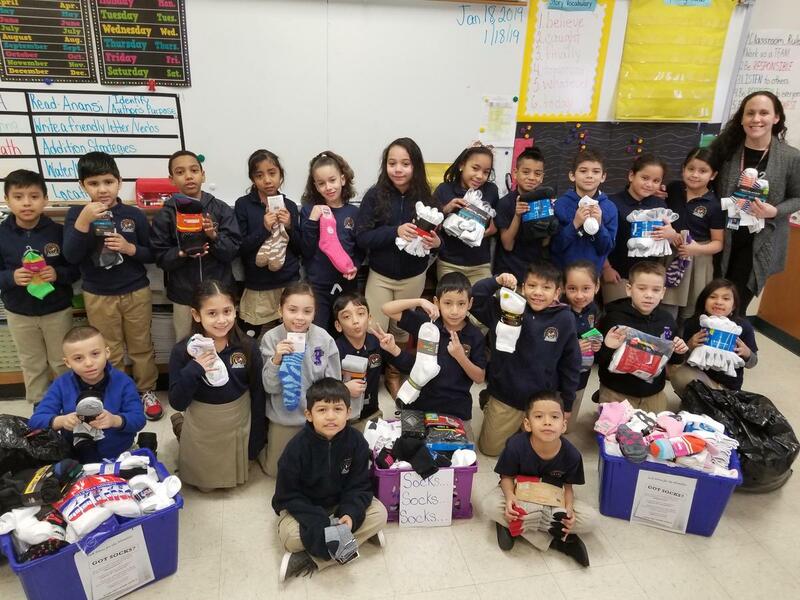 They decided to help the community by holding a Sock Drive for the Homeless. Socks are among the most needed item at homeless shelters but the least donated. 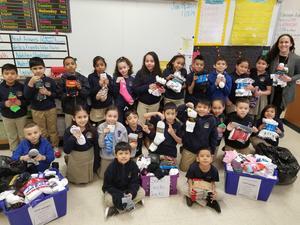 The students raised 1,103 pairs of socks. These socks will be distributed to the local homeless shelter DCP&P who is currently performing its "NJ Counts Our Homeless Neighbors." The remaining sock will be donated to PERC (Palisade Emergency Residence Corporation).